Since last year, immigration has been dominating the news in North America and Europe. Recently, it’s become a hot topic in Japan as well. Around 2007, Chinese passed the combined figure of North and South Koreans (currently about 560,000) to become Japan’s largest foreign group. Diamond devotes a two-page spread to demographics, with data showing almost 1 out of every 3 foreign nationals in Japan is Chinese. In terms of age, they are comparatively young, with 58 percent between the ages of 20 and 39, and females considerably outnumber males, 57 percent to 43 percent. Broken down by visa status, 28.3 percent are permanent residents, 17.4 are on short-stay status, 13.7 are students, 9.6 are technical trainees and 8.3 percent are accompanying family members. A sidebar in Diamond quotes Li Xiaomu, a “guide” to Shinjuku’s sleazy Kabukicho district, who took Japanese nationality in 2015 and subsequently stood unsuccessfully for a seat on the Shinjuku Ward Assembly. He now operates a restaurant serving spicy Hunan-style dishes. Prices of condominiums in Chinese cities have become so expensive, writes Atsushi Ozuka, that a pad in the vicinity of Kawaguchi in Saitama Prefecture, on Tokyo’s outskirts, is cheap by comparison. That municipality has become home to nearly 20,000 foreign residents, ranking it fifth overall nationwide. 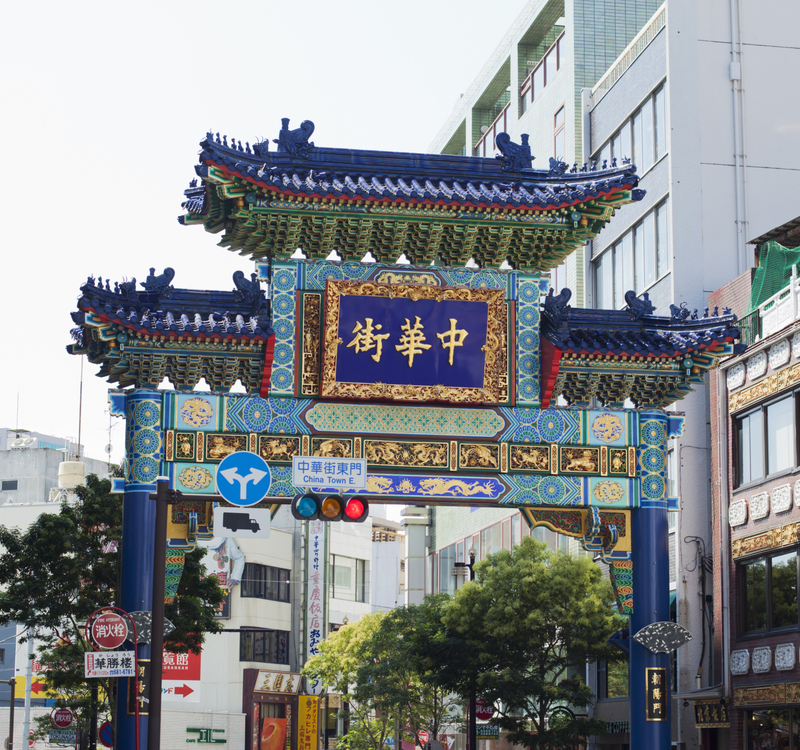 Part two of Diamond’s report examines the forming of large “neo-Chinatowns” around the north side of Tokyo’s JR Ikebukuro Station and Nishi-Kawaguchi Station in Saitama. Learning to love one’s neighbor is also challenging in multiethnic neighborhoods, as underscored by a plethora of cautionary Chinese-language signs spotted by the reporter, such as: “Please don’t loiter around here” (outside a kindergarten); “It is prohibited to remove carts from the store” (at a supermarket); “Please flush after defecation” (a public toilet); and “Please refrain from spitting off the veranda”(an apartment building). Spa! (July 10) focuses on Chinese who operate through large-volume, small-margin trading, by cornering the market on limited edition brand goods. They are referred to as tenbai-yā (resellers), with the yā extended to resemble the English word baiyā (buyer). Their modus operandi is to hire students or housewives to stand in long queues for limited edition items; they then buy as many as allowed. “Hot” items of late include rice wine from Niigata Prefecture, deluxe golf clubs, fishing rods and Balenciaga sneakers. “It means that nearly all types of limited edition goods don’t reach Japanese,” commented Yuki Okukubo, a freelance writer. Meanwhile, Sunday Mainichi (July 22) ran a three-page story titled “Tokyo is becoming Chinatown-ized.” Just as Prime Minister Shinzo Abe has been criticized for allowing Japan to become the 51st U.S. state, the magazine writes, if you walk around the area of Takadanobaba in Shinjuku Ward, you might conclude that a new state — or province if you prefer — of the “Chinese Empire” is on the verge of coming into being. 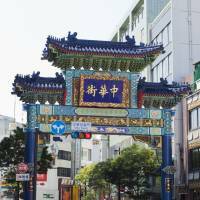 Last August, a new Sichuan-style eatery called Honkaku Panda (Real Panda) joined the dozen or so others clustered between the station and Waseda University campus, where some 3,000 Chinese students have matriculated. Rissho University professor Kiyomi Yamashita offers an explanation of the distinctions between the old-style chukagai self-identified ethnic neighborhoods, such as Japan’s “big three” in Yokohama, Kobe and Nagasaki, with the “Chinatowns” (using the English word) that have been spontaneously springing up more recently in places such as Tokyo’s Takadanobaba, the north side of JR Ikebukuro Station, JR Kameido Station in Koto Ward and Nishinari Ward in Osaka.